and a befriended couple – to book a staycation here. The Buergenstock Hotel used to be a magnet for the rich and famous from all over the world after its opening in 1873. After a period of decline the hotel was acquired 2007 by the Qatari state fund and has undergone an extensive 9-year renovation project. Chances are good that the refurbished hotel complex will repeat the success of former glorious times! 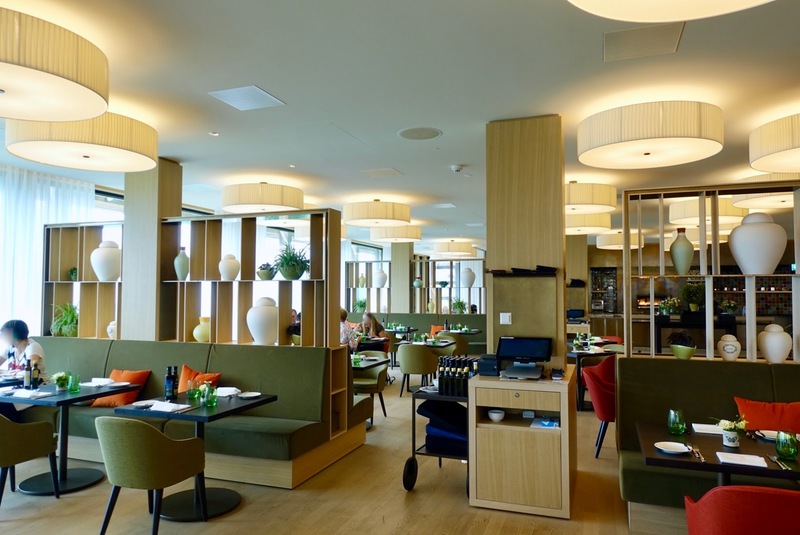 The hotel is located only a bit more than one hour’s drive from my home town and – more importantly – it is exactly the same distance from Zurich, in case you fly into Switzerland’s most cosmopolitan city. 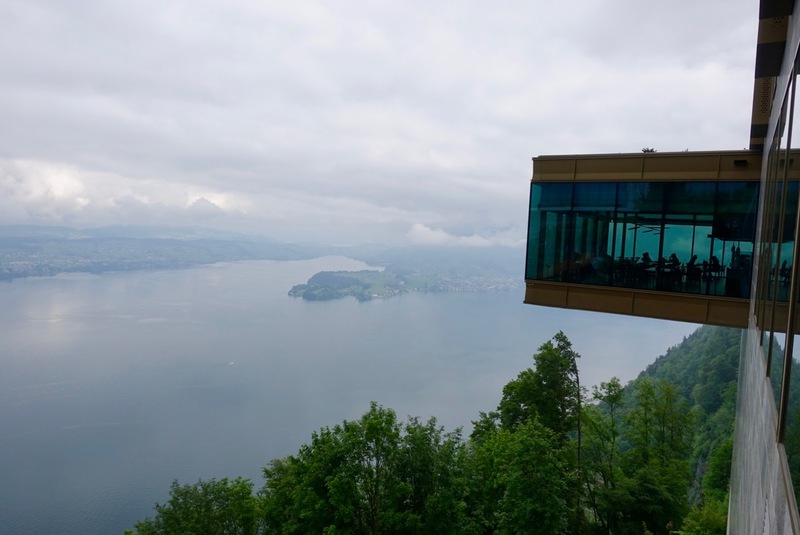 A more pleasant way to get here than by car is it to take the train to Lucerne and then to arrive via boat at the Kehrsiten-Buergenstock pier, where the Buergenstock Funicular will bring you up to the top. Here, an idyllic lake-and-mountain setting awaits you. 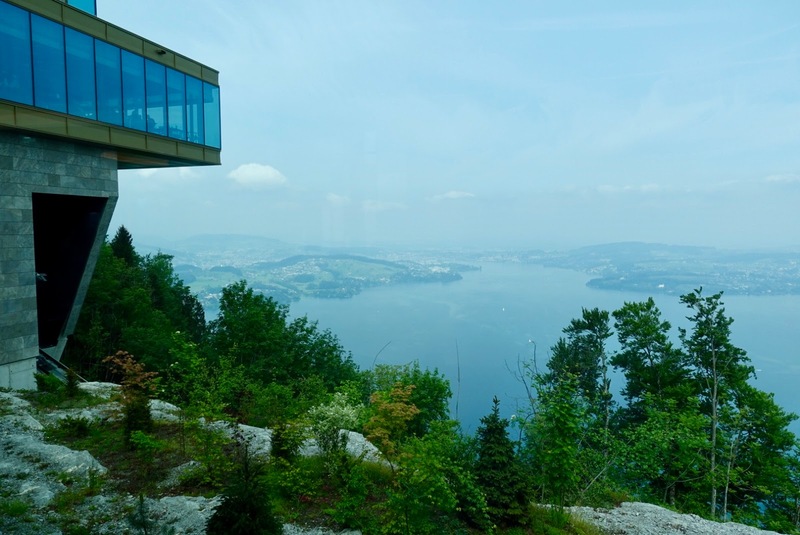 The biggest asset is certainly the view, you look down at the beautiful Lake Lucerne with the backdrop of close and more distant mountains, it is really one of a kind vista! As one might expect – in light of a project with so many superlatives – the facilities are impressive, be it from their sheer number or how they present themselves. The resort comprises of four hotels, twelve restaurants and bars, a 10,000 sqm (110,000 sqf) Spa and a health & medical center. I had the chance to view the hotel complex on a tour. 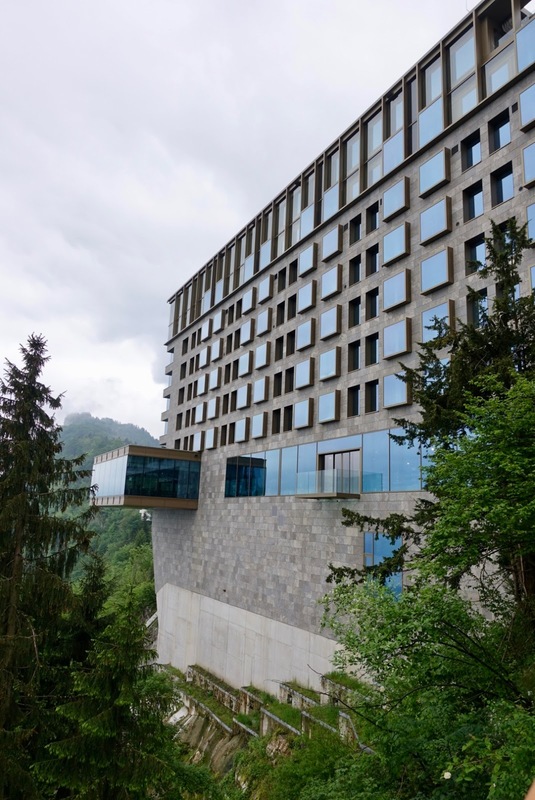 Jo Mueller, the former hotel director of the Buergenstock Hotel and the current curator for hotel culture at the reopened Buergenstock Hotels & Resort, was so kind to show us around and to provide some background information. History is valued highly here, you find spots around the complex destined to remember its foundation. Historic artefacts and old pictures illustrate how hotel life was in the past and what kind of famous guests stayed here. 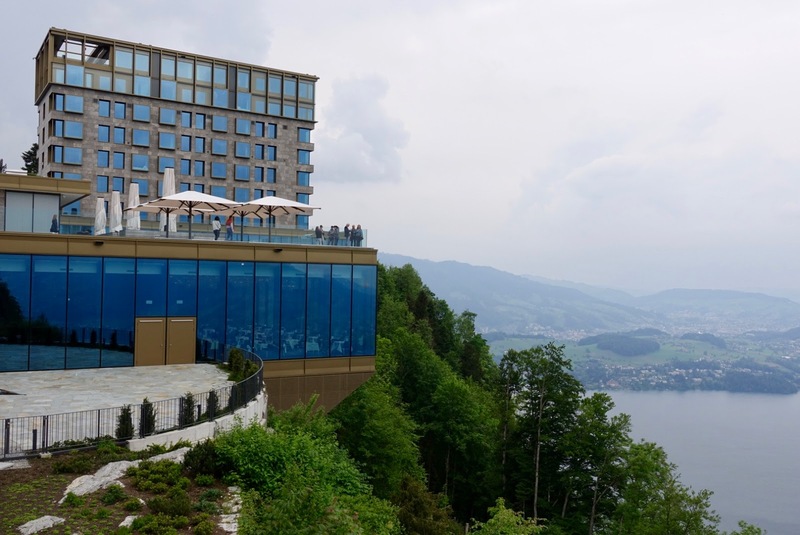 Out of the lodging possibilities, the newly built 5-star Buergenstock Hotel with its 102 rooms is the most upscale one. 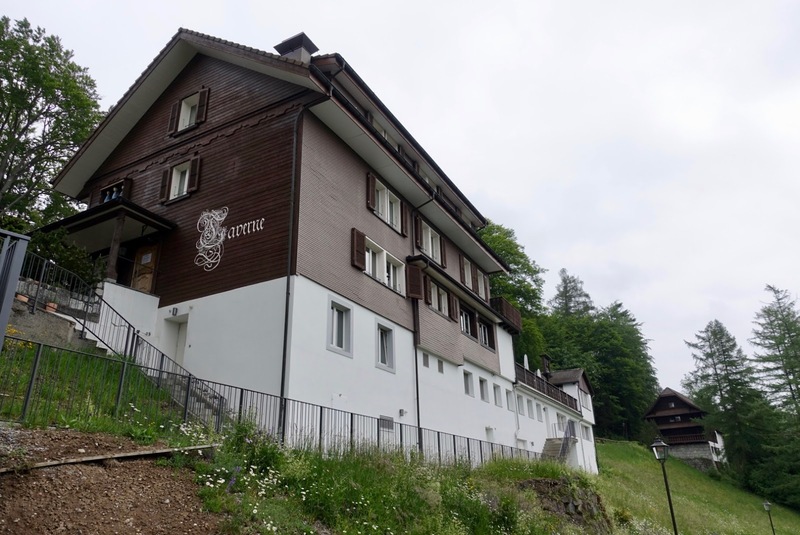 the alpine chalet style accommodation with its 3 stars and 12 rustic rooms. 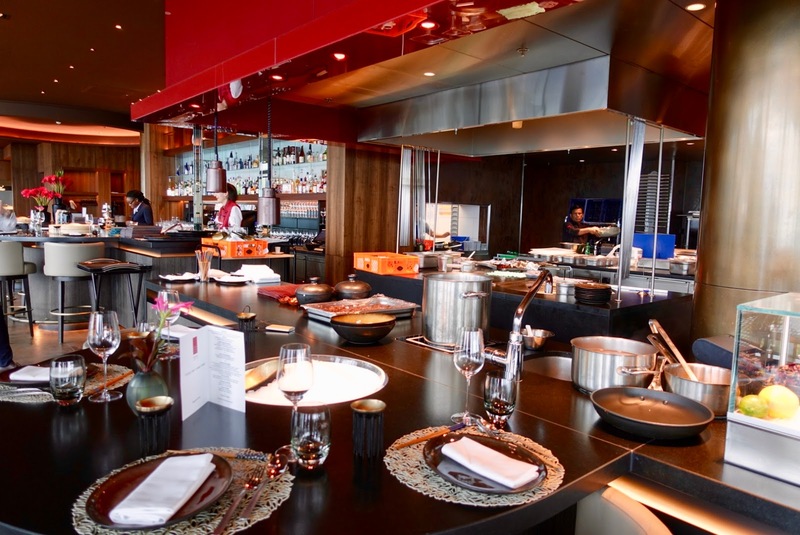 You are spoiled for choice at Buergenstock Hotels & Resort when it comes to culinary experiences. 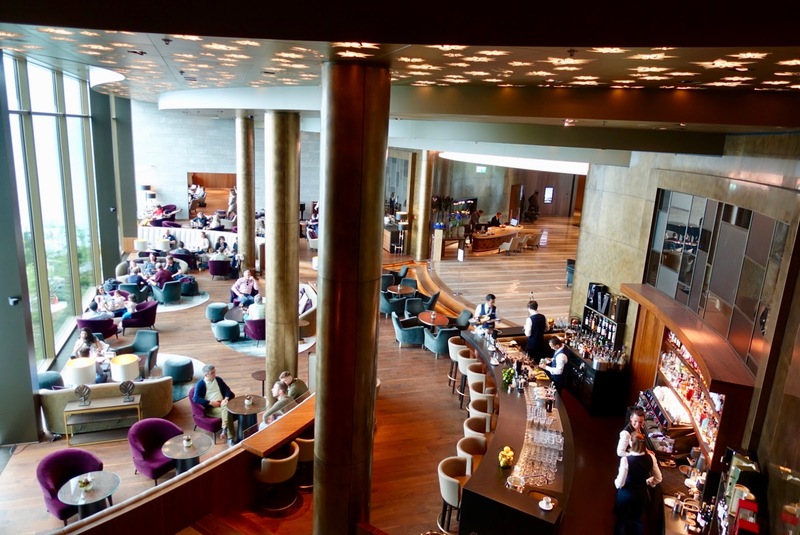 I will only go into the main restaurants and leave away most bars/lounges and smaller places. 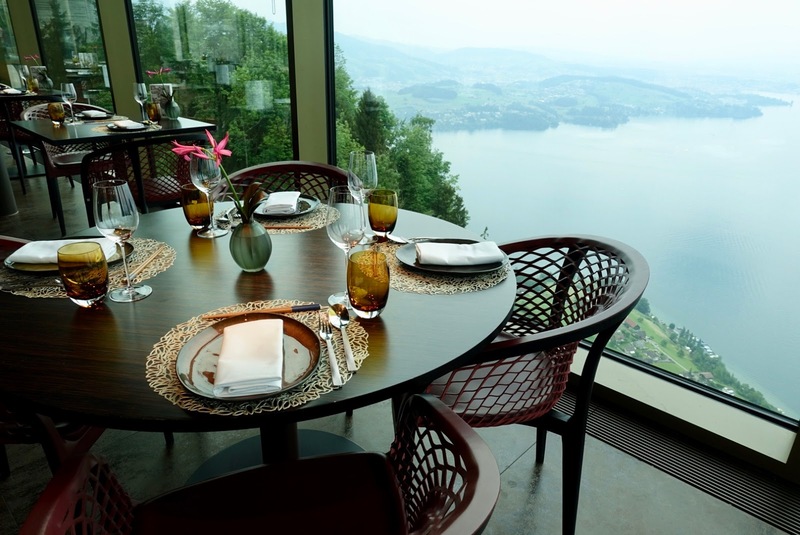 The most popular dining-spot is the Spices Kitchen & Terrace with Asian cuisine, located at Buergenstock Hotel. I had dinner here and my review will follow later on. Also the favorite bar of the resort can be found here, the Lakeview Lounge and Bar. 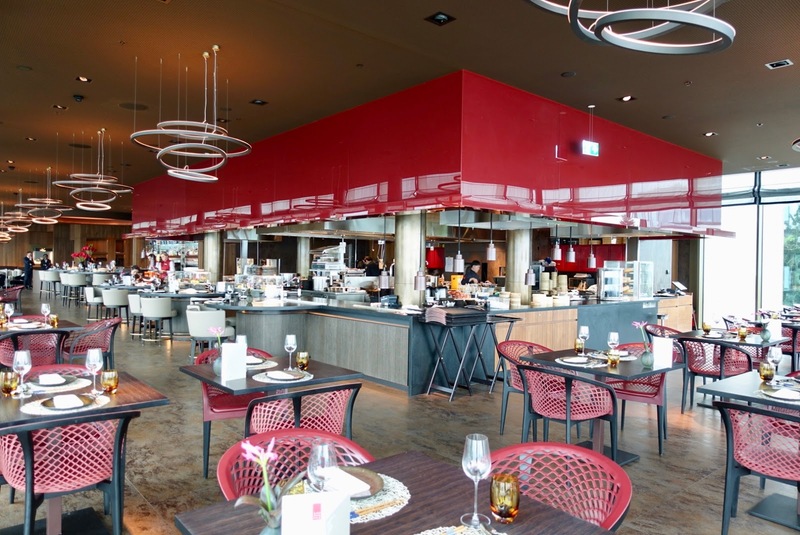 This place has not only a vibrant flair but a tremendous view over Lake Lucerne as well. We had an after-dinner drink here and enjoyed the pleasant ambiance. 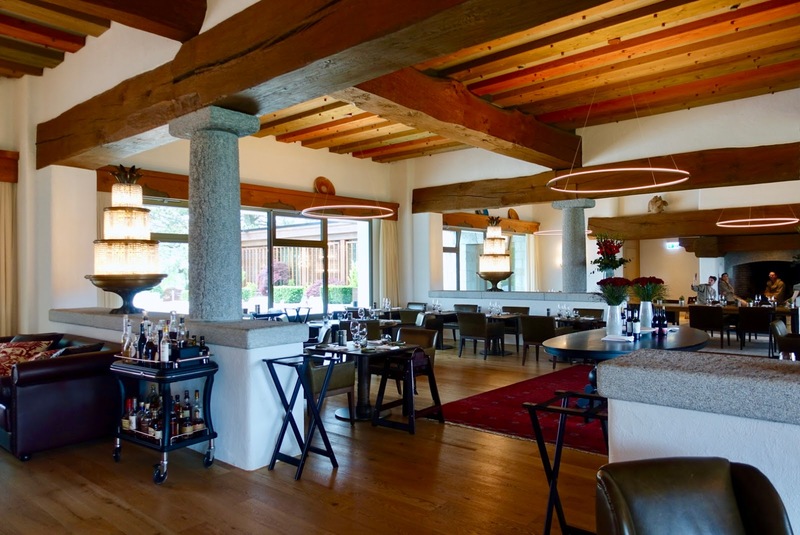 with its original oak beams and its impressive grill offering a variety of grill specialties from the land and the sea. 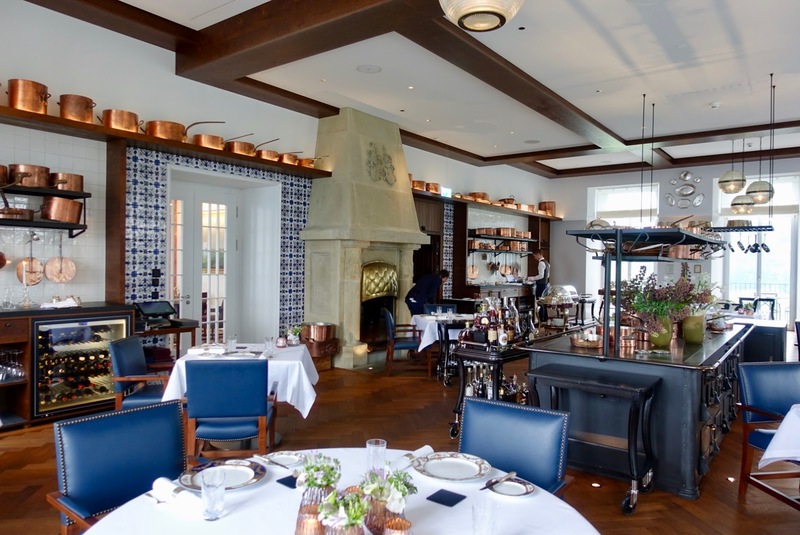 an exquisite French restaurant with kitchen equipment from times gone by and overseen by the three Michelin Star chef Marc Haeberlin. with typical Swiss dishes is located. 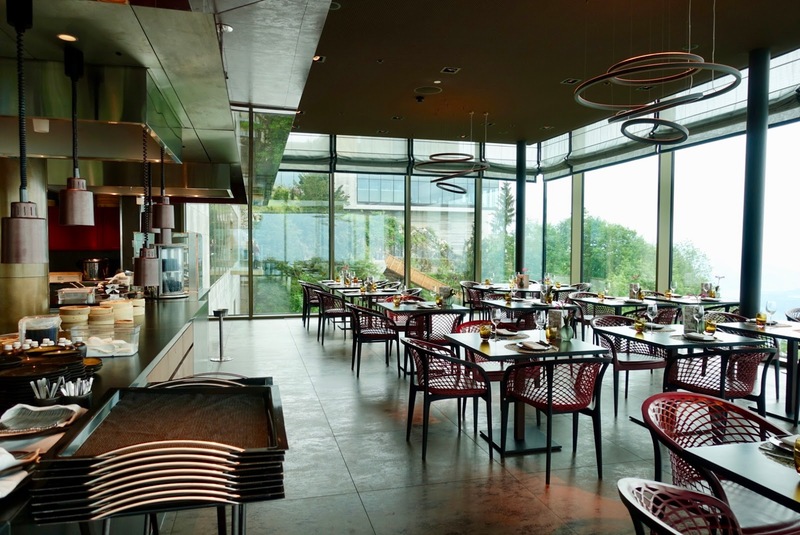 Continuing further along the road, you encounter the Waldhotel with its Verbena Restaurant. Here well-balanced healthy food is on offer. Unfortunately, my lunch experience here was a bit underwhelming. Neither was our party of four nicely welcomed nor proceeded the meal to our (high) expectations. Hopefully, this incident falls under the category of initial teething problems. There is not one Spa but two of them, the smaller one at the Waldhotel and the major one – the Alpine Spa – next to the Buergenstock Hotel. The latter one extends across 10,000 sqm (110,000 sqf) and three storeys with an indoor pool, an infinity-edge pool, a Hollywood pool, a sauna, a gym and 15 treatment rooms amongst other offerings. The highlight – the only thing I made use of – is by any accounts the infinity-edge pool with amazing views of the lake and mountains scenery. 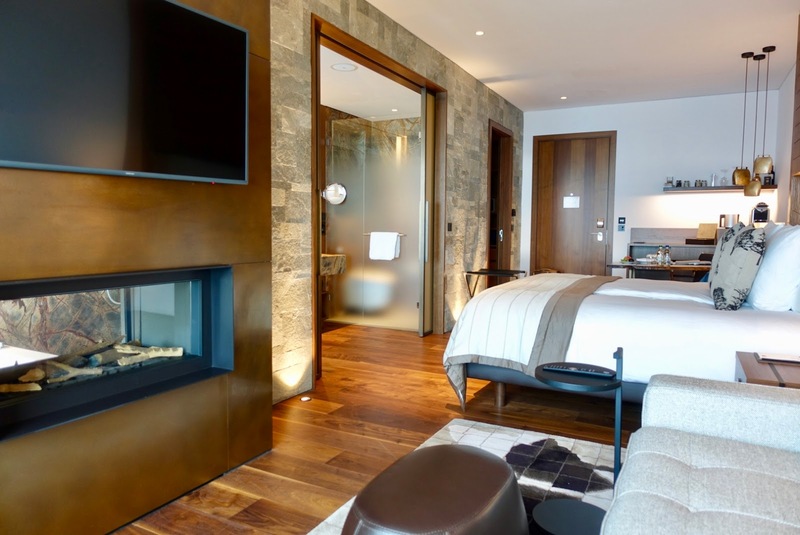 The Buergenstock Hotel has recently even been awarded for being the best wellness hotel in Switzerland by one of the country's most important hotel ratings, Sonntagszeitung Hotel Rating by Karl Wild. 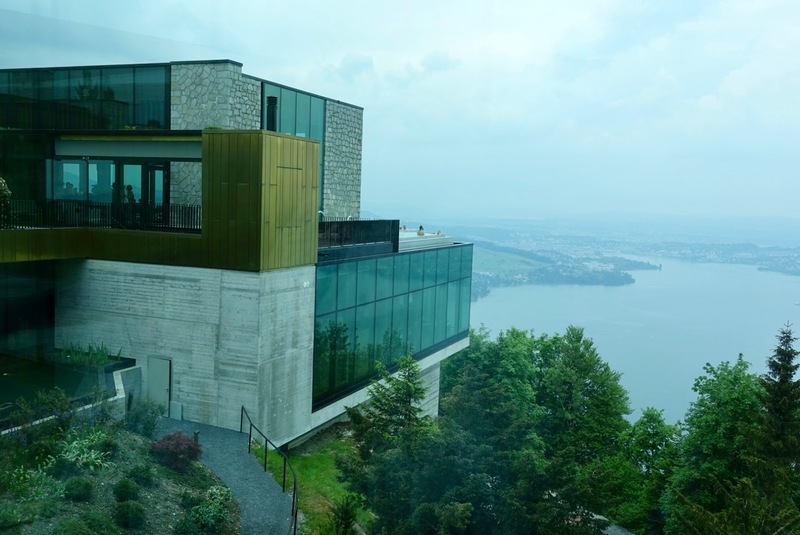 Other features include a 9-hole golf course, indoor and outdoor tennis facilities, an ice field for ice skating in winter, a cinema (free of charge for guests of the Buergenstock Hotel) and a shopping arcade with a Sky Terrace – a small platform made completely of glass. Of course, there are also hiking opportunities onsite. 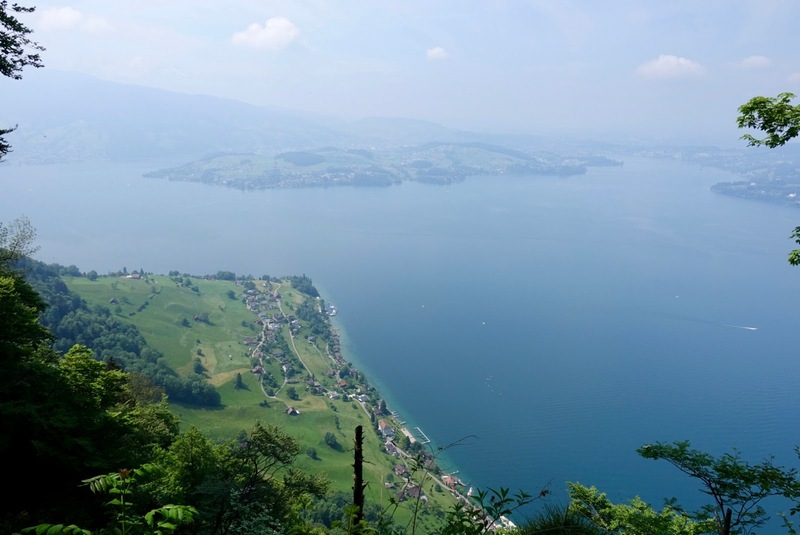 If you feel like doing an easy – and rewarding – hike, then do the cliff walk (Felsenweg), built between 1900 and 1905, with outstanding views of Lake Lucerne. 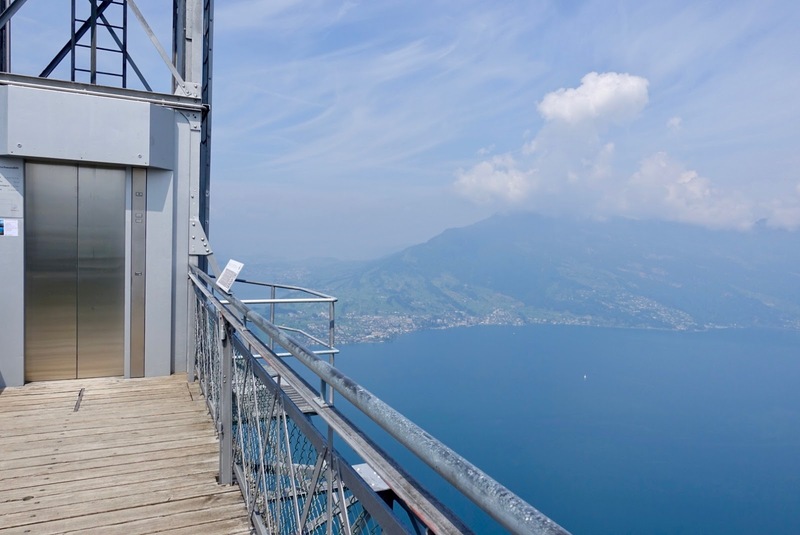 Take the path along the cliffs until the Hammetschwand Lift, Europe’s highest exterior elevator. 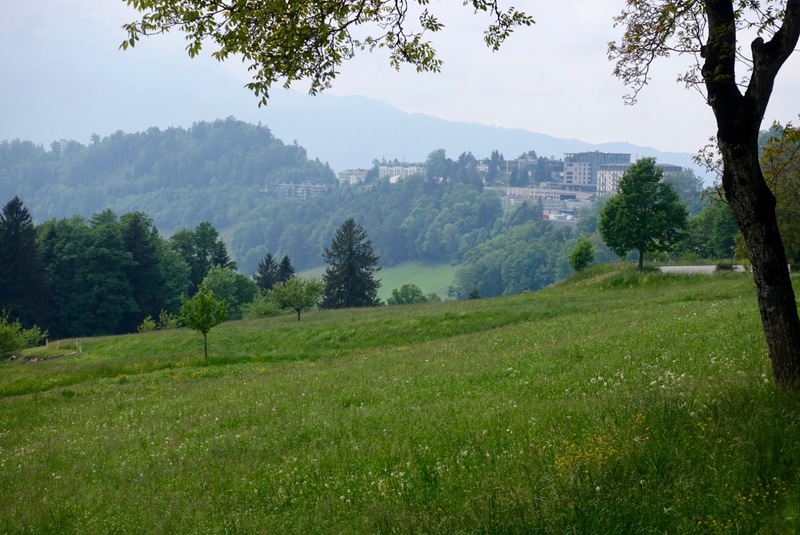 In case you fancy a daring ride, take it to the top and continue towards Hotel Villa Honegg – another recommended hotel to stay and a good spot for lunch or drinks and snacks. 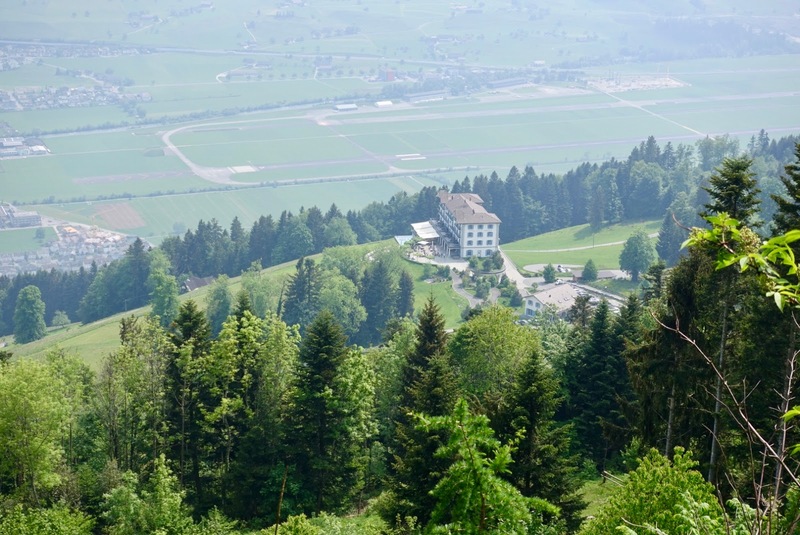 Alternatively, follow the cliff path as far as the mentioned hotel and return to Buergenstock Hotels & Resort. The walk will take you about 1 ½ hours in total. 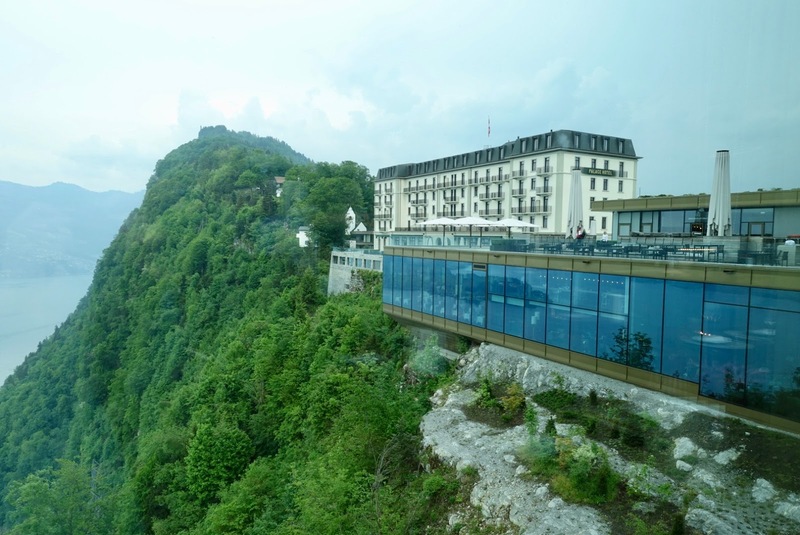 As already mentioned, I spent one night at the “crown jewel” of the Buergenstock Hotels & Resort, the Buergenstock Hotel. This modern, contemporarily styled hotel has large rooms starting at 42 sqm (452 sqf), all with panoramic windows overlooking lake and mountains. We opted for the least expensive room here, a Deluxe Part Lake/Mountain View Room, coming not inexpensive at all but with a stiff price tag (1,000 SFR/night). In the Palace Hotel or the Waldhotel you get a room at less than half the price! 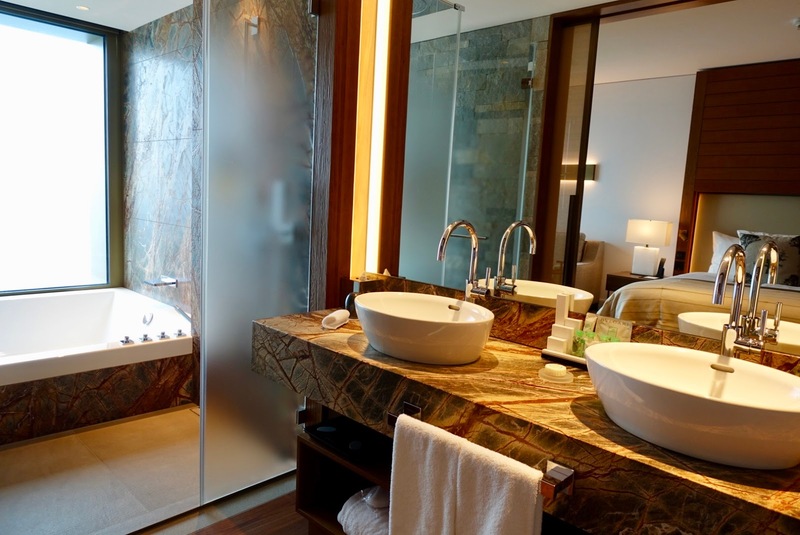 Having said that, the room is a real gem equipped with finest materials and designer furniture such as walnut floors or natural quartzite walls. The room is split into two parts and a double-sided fireplace is positioned between the room and the bathroom. 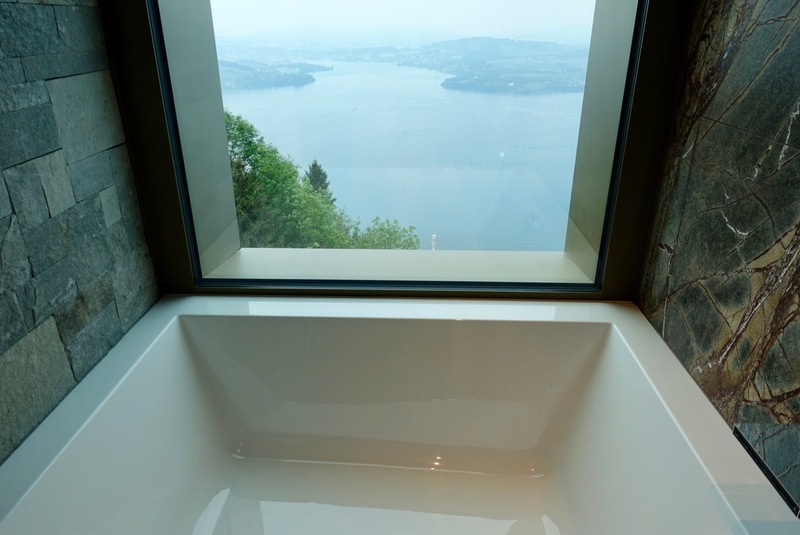 in the wet area from a panoramic bathtub! The atmosphere of the accommodation is warm and inviting, there is a spacious walk-in closet and a wooden desk enlighted with cowbell pendant lamps, a nice detail. 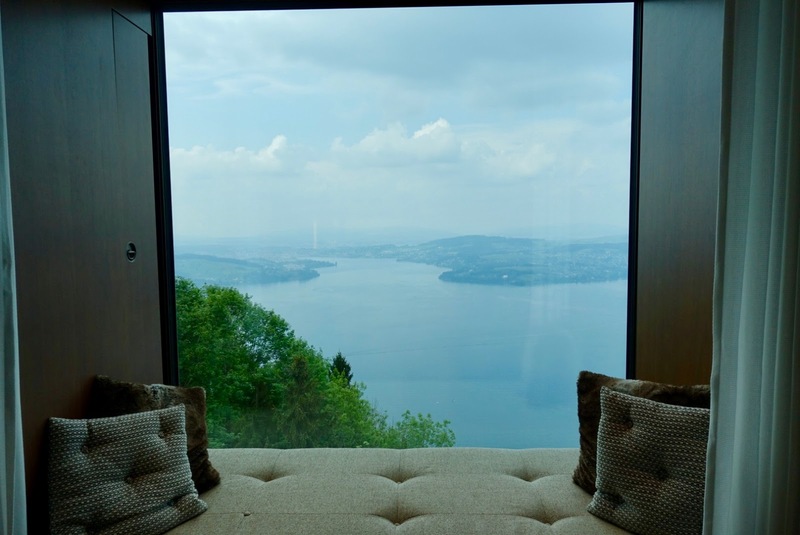 The panoramic windows cannot be opened and although the room is air-conditioned the room temperature was too high when we stayed at the Buergenstock Hotel on a moderately warm day. When we complained about this, staff was not able to do anything about that. They brought us a fan and offered a free upgrade on our next visit! I hope this issue can be settled soon, an inadequate room air-conditioning is unacceptable, especially for a room with this hefty price tag! The rate included breakfast at the Spices Restaurant, which offered an appropriate selection and was of good quality. 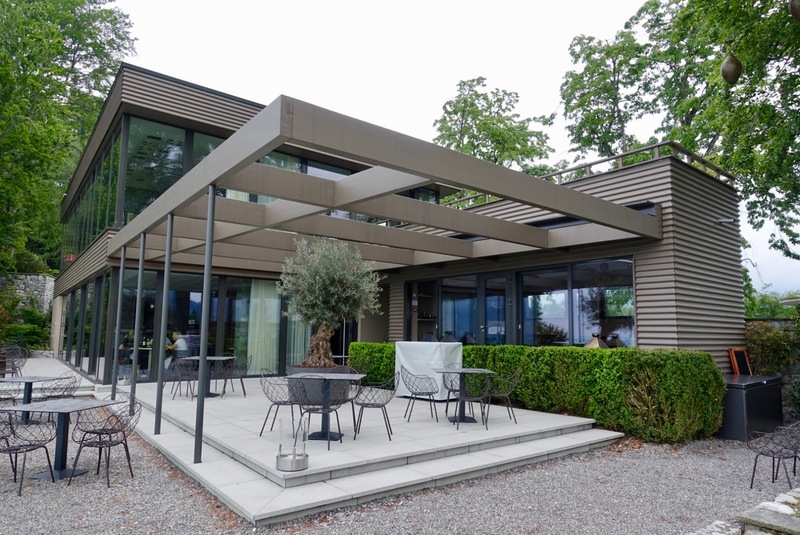 After having booked a room at Buergenstock Hotel, our party of four wanted to make an online reservation at one of the hotel’s restaurants. To our astonishment, all the dining-spots were already booked out one and a half months before our stay (at Pentecost, a holiday). But this was quickly settled when we called the hotel. 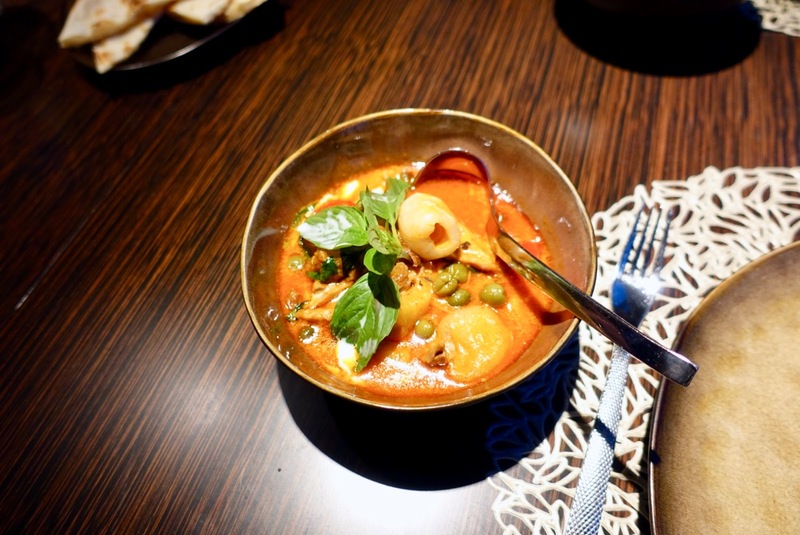 Staff was able to book us a table at the preferred restaurant, the Spices Kitchen & Terrace. and sweeping view of the region. 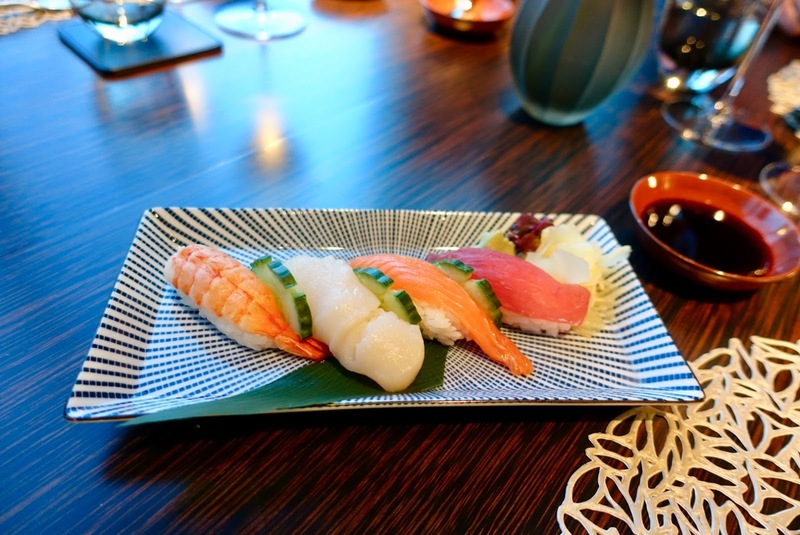 There is a delightful mix of Japanese, Indian and Chinese cuisines on offer, awarded 15 points by Gault Millau. We were told that experienced chefs from the specific countries are employed here. a delicious main was the Red Curry with BBQ Duck, Assorted Fruits and Sweet Basil (Kaeng Phed Ped Yang). 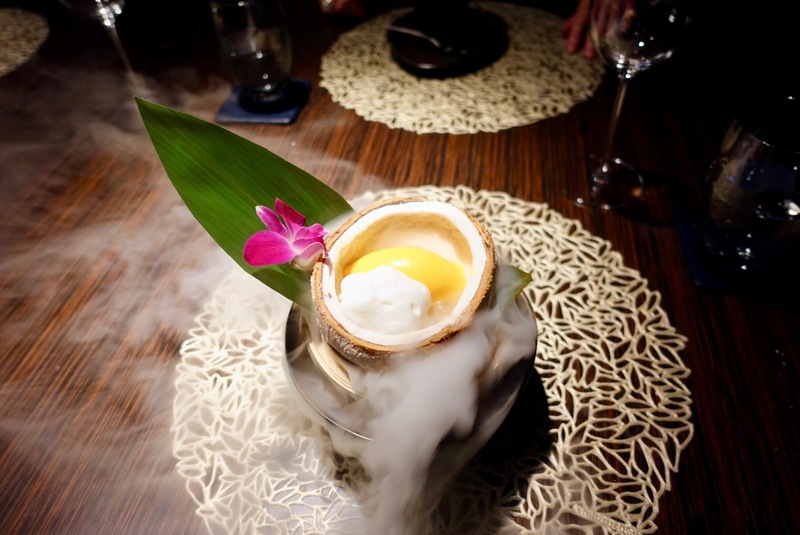 For dessert I ordered the Spices Special, Coconut with Yuzu Gel, Banana Puree, Mango Passionfruit Sorbet and Coconut Foam. While it was a treat, I considered the portion as too small and the price as too high. All the other dishes we sampled were just right in terms of portion size and adequately priced. Service was paced exactly right and present when needed. 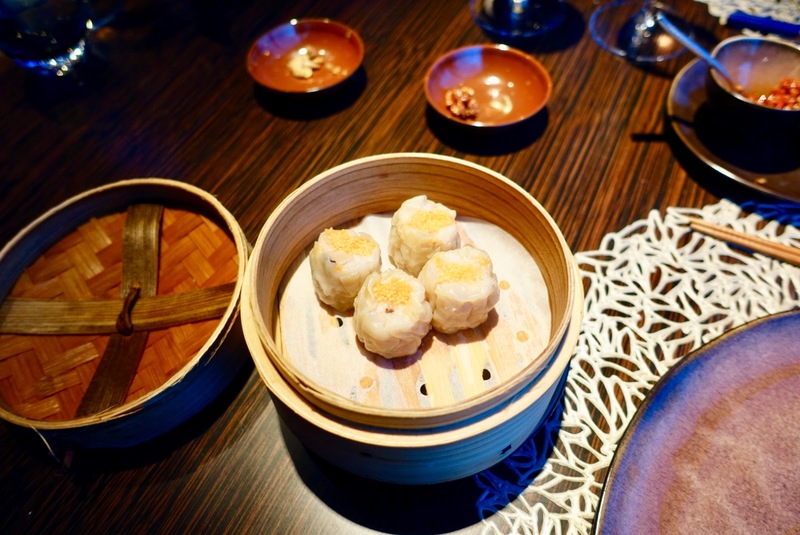 Staff was attentive and helpful at all times, we really enjoyed our dinner here! 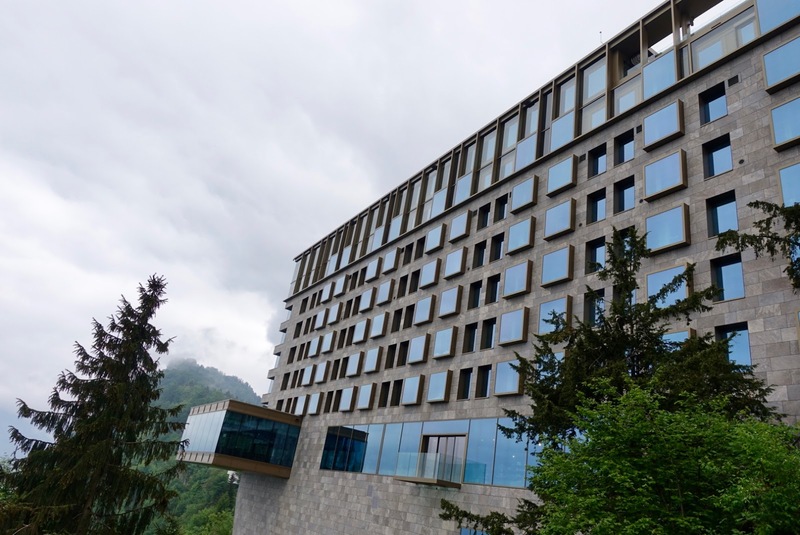 The Buergenstock Hotels & Resort is not only a jewel location-wise – think of the most spectacular views of lake and mountains from high up – but also a hotel renovation project that goes beyond standard dimensions. The facilities are first rate, with plenty of wow factor. If you consider staying here, take into account two things. 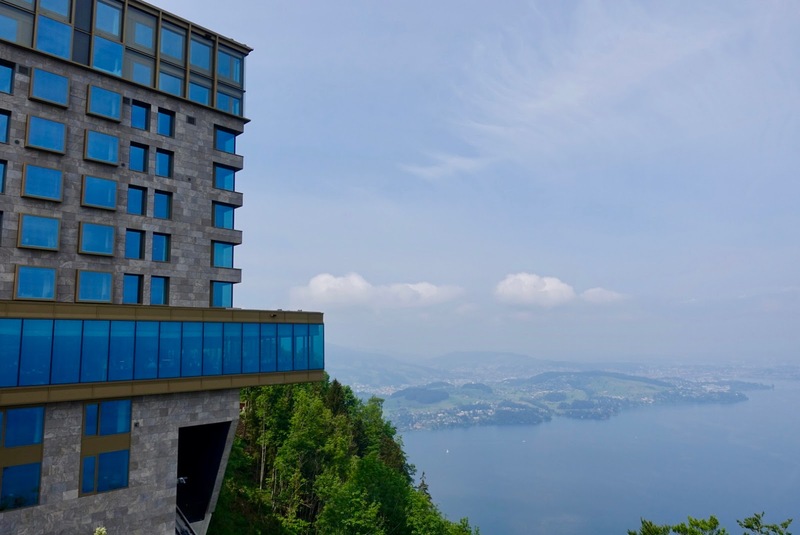 First, in order to have “the full experience” it is recommended to choose the expensive Buergenstock Hotel over the other – less costly – alternatives. 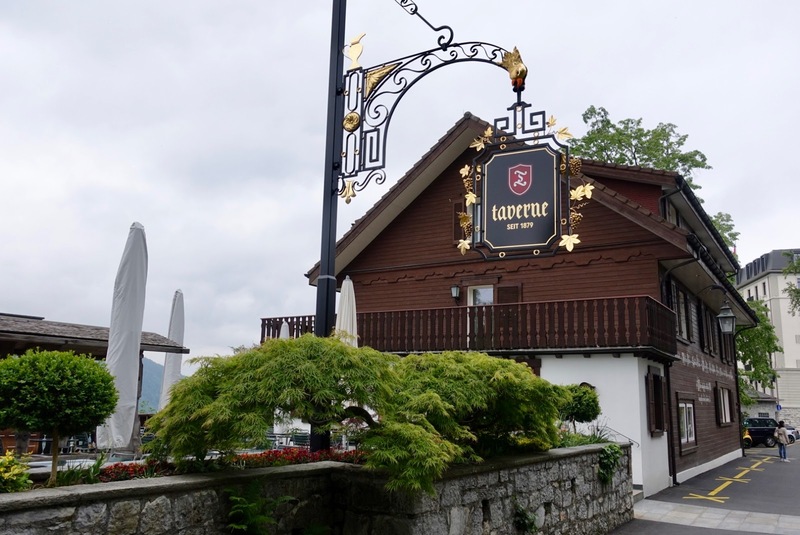 Second, a successful stay requires fairly good weather – the area of Lake Lucerne does unfortunately not have Switzerland’s most favorable weather conditions – because the real star here is the view. If it is missing, the whole thing is only half as good as with it. You might also be well advised to defer your stay some more time as there are still some weak spots in need to be eliminated. It is no easy thing to increase the staff from a few employees to 650 ones in a short period of time and I have to admit that most of them do a good job – amongst them many Swiss people, which has to be honored. 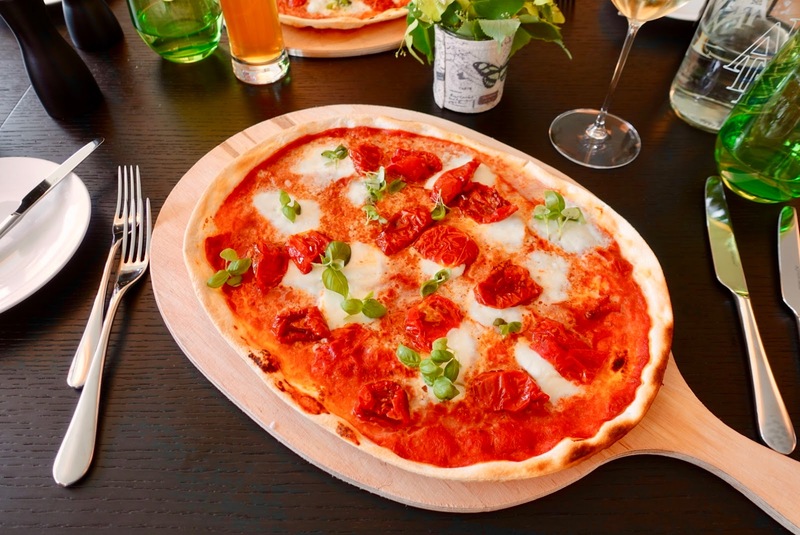 Notwithstanding that, inadequacies – as the way we were welcomed at the Verbena Restaurant over lunchtime – should not occur in such a prestigious place. The same is true for technical shortcomings. If it costs you a small fortune to spend the night at the showpiece hotel, then a malfunctioning air-condition is unacceptable. 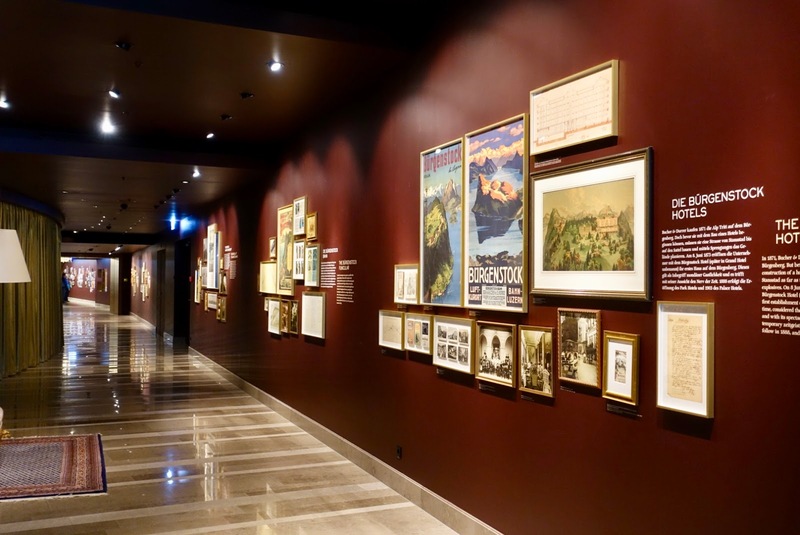 Having said that, I am convinced that – all deficiencies removed – the Buergenstock Resort has the potential to become one of the most promising new luxury destinations in Europe.